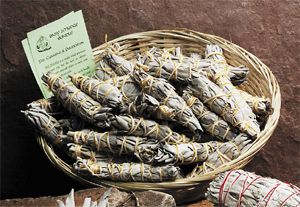 Baby WHITE Sage Bundle - 4" wand unpackaged. For cleansing and purification. Baby White Sage Bundle - 4" wand unpackaged. Each bundle is $1.25 each. For cleansing and purification.